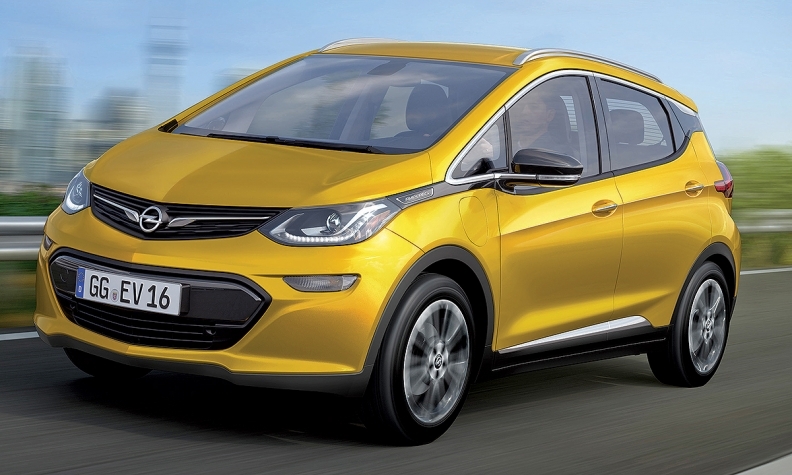 Opel CEO Neumann sees the Ampera-e, shown, as a basis to turn the brand into an EV marque. MUNICH -- Opel CEO Karl-Thomas Neumann has been working on a strategy to turn the automaker into an electric car only brand, German monthly Manager Magazin reported. Neumann has been developing the EV strategy for months to help ensure Opel's survival and GM's board was due to decide on the plan in May, the magazine reported on Wednesday, citing company sources. Neumann was worried that Opel did not have the resources to develop both combustion engines and electric drivetrains, the report said. He worked on the EV strategy in parallel to parent General Motors discussing a potential sale of Opel and its UK sister brand Vauxhall to PSA Group. Opel would use GM's electric car architecture that underpins the Chevrolet Bolt and its sister model, the Opel Ampera-e, Manager Magazin said. Until the strategy to completely end sales of combustion engines was fully implemented by 2030, the division would be divided into an "old" and a "new" Opel, the magazine said. Opel's top managers were surprised by the announcement on Tuesday by GM and PSA that they were holding strategic discussions that could lead to PSA acquiring Opel, according to the report. Only Neumann among senior executives may have known earlier, it said. Whether Neumann's proposal will be implemented is now unclear, Manager Magazin said.